Bodyboard at Surf Snowdonia perfect man made waves every time! How many times have you imagined bodyboarding mechanical perfection, where every wave breaks exactly the same, allowing you to nail your turns, whip tighter spins or land bigger moves? By signing up to our epic Surf Snowdonia bodyboard weekend you can expect 48 hours of pure, unadulterated bodyboarding mayhem! With so much wave action (in and out of the sea), you’ll be driving home with an irremovable grin stretching from ear to ear. North Wales is an often-forgotten yet truly beautiful corner of Britain – there are not many places in the UK where you can bodyboard with snow-capped mountains behind you! The region is blessed with a surprising amount of swell, dramatic coastlines, and a plethora of ancient, crumbling castles (more per square mile than anywhere else in the world). From the Llyn Peninsula to Snowdonia National Park, it is a stunning area for a bodyboard coaching weekend, steeped in rich history and inhabited by a friendly people, deeply passionate about their lands, language, poetry, rugby, and of course bodyboarding! With a south-westerly aspect, the Llyn Peninsula is a versatile and rewarding bodyboarding location. While much of North Wales is protected from raw Atlantic swell by Ireland, the long sandy swell magnet of Hell’s Mouth still offers a decent range of fun beachbreak peaks and hollow reef options. On bigger swells that sneak up beyond Pembrokeshire, sheltered spots such as Porth Ceriad and Whistling Sands really light up, each offering quality wedges and longer mellow waves, respectively. While many surf destinations in the UK have hidden gems to find, this entire region is a hidden gem! There are very few places in the UK where you can surf uncrowded waves with such a dramatic backdrop, sharing stoke with a small crew of fiercely friendly locals. Now for the cherry on top. Head inland from the coastline and you enter Snowdonia National Park – an extensive area full of some of the most stunningly beautiful landscapes in Great Britain, including Wales’ highest mountain. 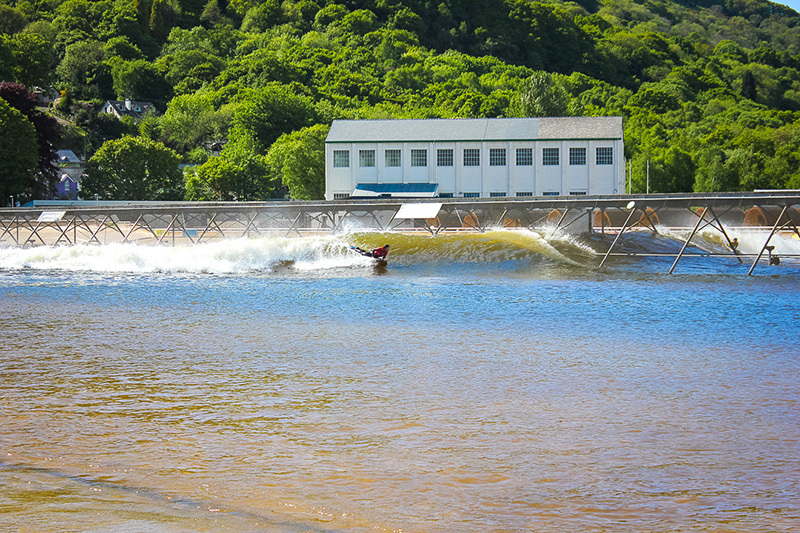 After a short journey you’ll find the old aluminium factory now converted into Surf Snowdonia: a custom-designed and purpose-built 300-metre WaveGarden, offering up mechanical perfection unlike anything else you’ll find in the UK. This artificial marvel launches 12 perfectly-formed shoulder-high waves per hour, breaking flawlessly either side of a fence/viewing platform, dividing the lagoon into two separate waves – a right and a left. 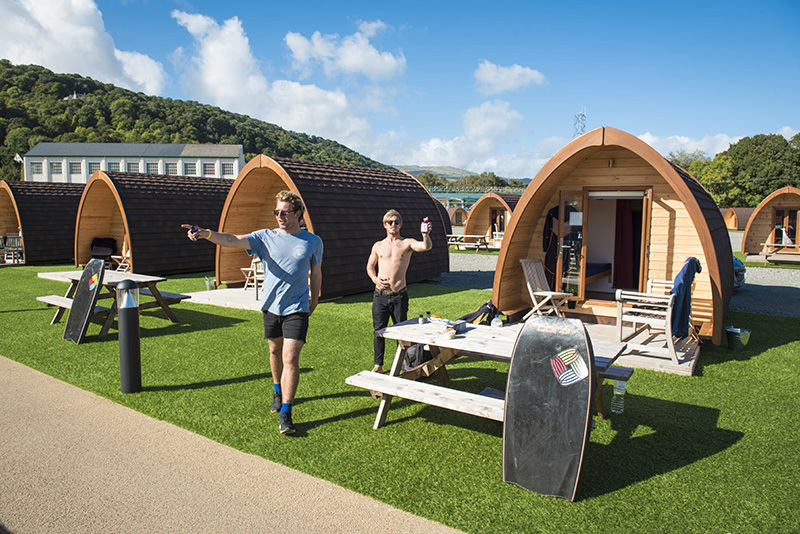 We recommend all of our guests stay in the cosy glamping pods conveniently located just a few metres from the water’s edge at Surf Snowdonia. How does waking up to the soothing soundtrack of tweeting birds and breaking waves in the beautiful Conwy Valley grab you? Each pod sleeps two people (if you are booking on your own we can match you up with another bodyboarder to share with) and all benefit from under-floor heating, electricity and WiFi. Not only will you be right in the heart of the action, but there is also a complimentary cooked breakfast thrown in to help fuel you up. Pods are £35 per person for two sharing, or £70 for an individual one. You reserve your pod through us when you book your weekend, and pay for it in cash when we meet in Snowdonia. If you have a tricked-out camper and fancy taking it with you to camp instead, this is fine – just arrange this through us and pay in cash on the day, same as the pods. Budget £20 for the night. We won’t lie, this is mountainous North Wales not Nicaragua – so expect unsettled fronts to bash in and help fill the region’s rivers from time to time! It’s just a fact that this spectacular part of the world sees a fair amount of mixed weather. We’ll be getting in so much water-time anyway that whether its rain, wind or shine we’ll be buzzing regardless! “Feed me till I want no more…” Just one of the rising refrains of the Welsh national anthem (best heard belted out from 70,000 proud Welshmen and women at the Millennium Stadium, while making the hairs on the back of your neck stand up). So it really comes as no surprise then that Wales has a wealth of must-try traditional delicacies… these include Bangor mussels, an edible seaweed known as ‘Welshman’s caviar’, Gorwydd Caerphilly cheese, Glamorgan cheese & leek veggie sausages, Bara Brith speckled bread, and of course the ubiquitous Welsh cakes, to name just a few. On Sunday we’ll be based at Surf Snowdonia, so you can opt to breakfast, lunch or snack in the Surf Side Café or bar, depending on what you fancy and how hungry you’re feeling. They have a great, fresh menu with wholesome dishes, featuring locally-sourced ingredients. Those who opt for a pod receive a full breakfast inclusive in the price too. 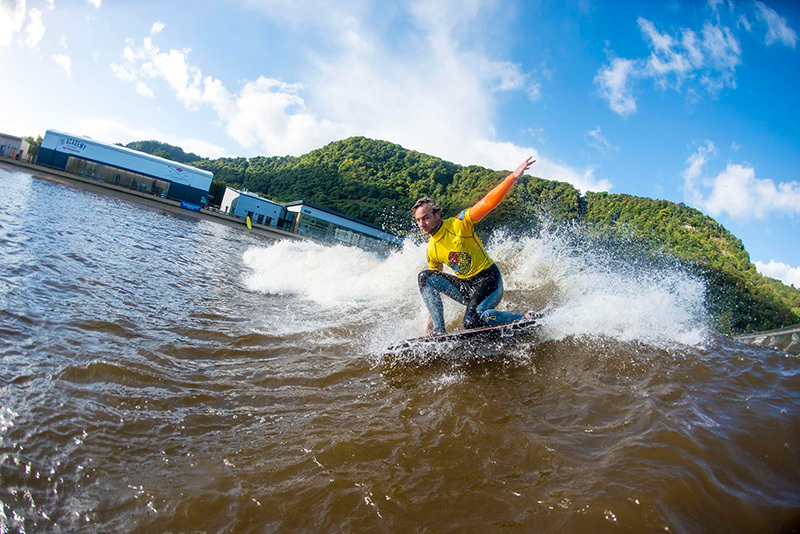 While the Llyn Peninsula’s beaches and surf breaks cater to riders of all abilities, the real opportunity on this weekend is to benefit from the mechanical exclusivity of Surf Snowdonia. As a beginner, you’ll never be thrown straight into the deep end. We’ve got your back whatever your ability, and that’s a promise. The wave machine will give you the chance to repeat bodyboarding moves in an identical format over and over again. There is simply no better training ground and we have never seen improvements like those seen during our Surf Snowdonia sessions. Take our word for it. These sessions will finesse your riding. 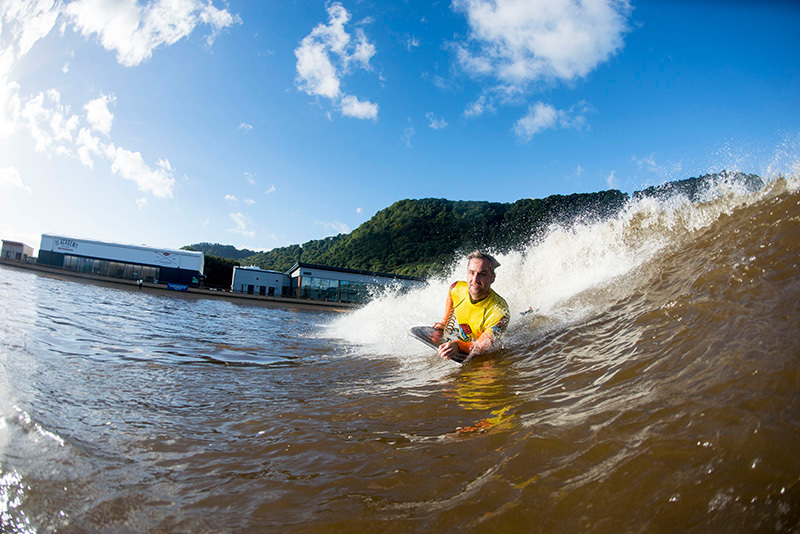 Having previously visited Surf Snowdonia, Rob and his team have invaluable first-hand experience on how to ride the artificial wave, and can offer game-changing tips so you can make the most of this unique opportunity. Guests are to make their own way to North Wales. We’ll meet on the Saturday at 9.30am at a predetermined beach that is offering the best conditions for the day. In our experience it’s worth leaving yourself a little extra time on the drive in – the scenery is stunning and the roads winding, and you’ll soon find people who drive slower than you do. Take your time and enjoy the views – they get better and better! Glamping pods are £35pp per night for two sharing (including a fried breakfast!). Individual pods are £70. You reserve your pod through us but you pay for it in cash on arrival. There is a group meal on Saturday evening priced £10. If you’ve never been to North Wales before, it’s one of those places you’ll kick yourself you’d never visited sooner – home to beautiful beaches, tucked-away coves and gorgeous stretches of coastline, all backed by the famous Snowdonia National Park. It truly is a breathtaking place, a rumpled region of rugged mountains, sharply rising through the clouds, before plunging beyond hidden ridges into elevated lakes and raw valleys. Snowdonia has been compared to a small slice of the Scottish highlands, and you can see why … soaring peaks, deep valleys, raging rivers, secret glens, wild weather and millennia-old dry stone walls – ancient attempts to keep nomadic upland livestock from wandering off too far. North Wales and Snowdonia will leave a long-lasting impression and are guaranteed to remind you of just how beautiful the UK can be. An obvious one, but being North Wales, we’d recommend bringing along a decent wetsuit. A winter 5/3mm is perfect for the cooler times of year, or a sealed-seam 4/3mm if you don’t feel the cold. Over the weekend you will get a total of four bodyboarding sessions – two in the sea on Saturday and two at Surf Snowdonia on Sunday. We suggest you have a hearty breakfast before you arrive on Saturday morning to set you up for an epic day’s riding. We’ll meet at at a predetermined beach on the Llyn Peninsula, offering the best conditions for the day. This picturesque, craggy finger of land protrudes out into St George’s Channel and has a limitless range of bodyboarding options in terms of wave type, size and favourable wind directions and tides. On the Saturday we’ll be accompanied by a local bodyboarding guide, who knows this peninsula like the back of his hand, so if there’s swell we’ll be sure to score the best of it and get you some sick waves. 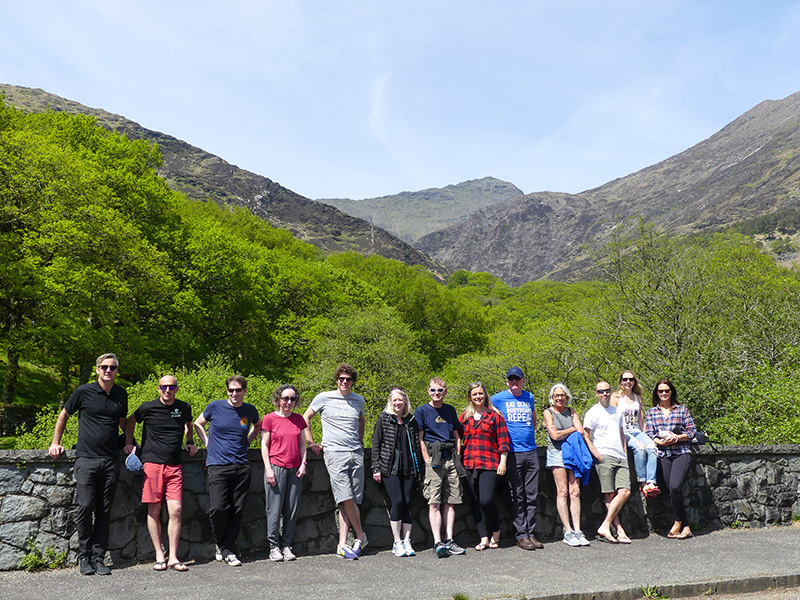 Following the morning session (where we’ll have all thoroughly surfed our socks off), we’ll then make our way to the small village of Dolgarroc, in the heart of the awe-inspiring Snowdonia National Park, home to Surf Snowdonia. After the morning surf session we’ll have a group lunch, complimented by photo and video analysis to advance your riding. Guests are free to purchase their own food and drink throughout the weekend. We’ll get lunch at a good local cafe on the advice of our local guide, where we encourage you to try some tasty Welsh specialities. A particular favourite post-surf snack on our last trip was a stacked plate of sticky Welsh cakes, all washed down with a strong mug of Welsh brew tea. Then we’ll head over to Surf Snowdonia where Rob will give a presentation about the wave pool and the plan for our afternoon session, so everyone can make the most out of their time on the artificial wave itself. The presentation will include a background of the technology involved in making this marvel, photos and video analysis of the wave in action, invaluable tips on how to successfully ride the wave, and advice on where and how to pull particular manoeuvres. Here you’ll also be allotted your time slots for the the evenings riding. After watching some session on the wave and moving in to our glamping pods it’s time for our first session on the Wavegarden. This will be followed by a well-earned feast at the resort’s restaurant. (Budget about £10, the restaurant can also cater for all dietary requirements, so please get in contact beforehand should you have any specific requests.). We’ll finish the day with a review of the photos and video of the action from earlier. In the rare case of Mother Nature not cooperating on the Saturday, we’ll kick into Plan B and be sure to get you wet regardless. We’ll focus on a range of land and water-based coaching activities, such as duck-diving, cork-screwing, paddling techniques, surf etiquette and our brand-new bodyboarding judging course. We’ll also bring our Super SUP – a giant-sized inflatable stand-up paddleboard, which guarantees endless giggles, coastal exploration and the most unique of wave-riding experiences. Like an excited child on Christmas morning, it’s likely you’ll be up at the crack of dawn to check out the goodies – only here it’s the serene sound of the first wave of the day peeling its way down the 300-metre lagoon. What better present could you have hoped for? After breakfast, each guest will enjoy a one-hour session, equating to 12 more epic waves delivered to you, ready for you to hone your skills and strut your stuff in front of a hooting bunch of new friends. The session will be photographed and videoed, while Rob and his team are on hand to give some game-changing tips from the water. 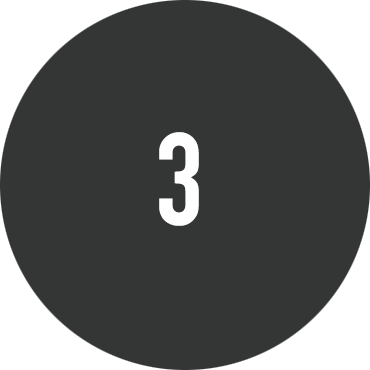 We’ll watch the footage back over lunch, so as to build on your first session’s progress, and maximise your performance. Between sessions you’ll be able to watch your fellow bodyboarders from the fence, hooting them on as they bust their moves. Alternatively you may prefer to take in the action from the comfort of your glamping pod, situated right next to the wave pool – you’re free to find the best vantage point! As well as the quality food on site, there’s also the Surf Snowdonia shop if you or a partner are in need of a little retail therapy. By mid-afternoon everyone will have surfed twice, and we’ll end the day with a constructive debrief on where to take your riding when you return to your home break. We will email you on the Wednesday before the weekend begins with the exact meeting point and time. Meet in Snowdonia on the Saturday morning. Then the weekend finishes on Sunday afternoon. Frequently Asked Questions about our Surf Snowdonia Trip. Do I need to book up directly with Surf Snowdonia? Nope – we arrange everything, so all bookings just through us please. ASAP! These coaching weekends fill up quick, and with just 12 spaces available you should really get a wriggle on. Do I have to queue for waves at Surf Snowdonia? 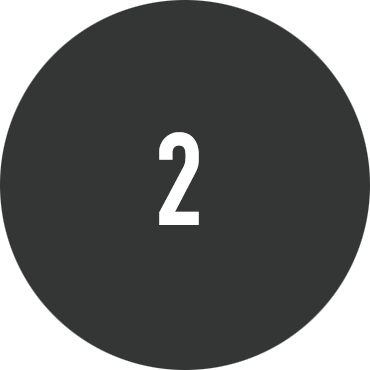 No, Saturday morning your two time slots will be issued. With this you can plan your weekend accordingly. You just need to be ready 15 minutes before each time slot. 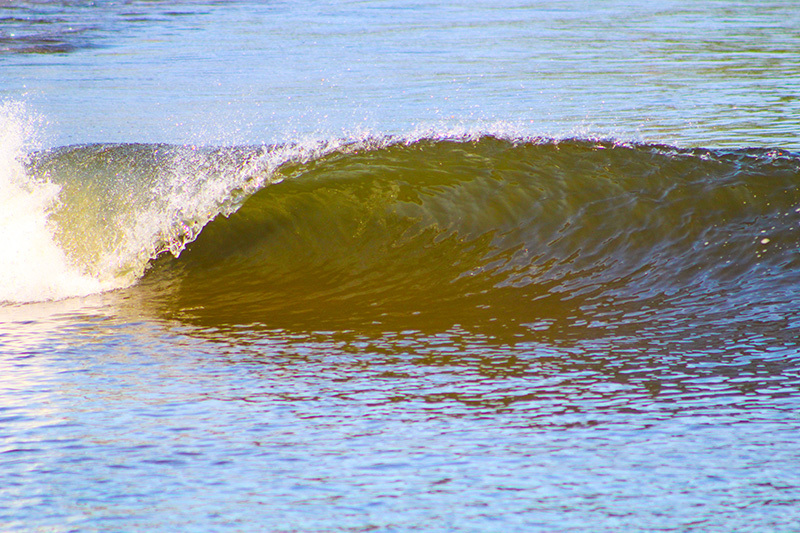 Each session will be one hour long, consisting of 12 waves (24 waves by the end of the day). It’s easy, stress free, and we’ll explain more on the day. Can I take a shower at Surf Snowdonia? Yes, there are free, warm, modern showers available for those staying in the glamping pods, or paying for van camping on site. You’ll need enough money for Saturday lunchtime, Saturday dinner (£10 per person), a few evening drinks, and Sunday lunch and/or snacks. Food and drinks at Surf Snowdonia are all reasonably priced. Can I just take part on Sunday (at Surf Snowdonia)? Unfortunately not, this is a weekend package, where Saturday’s bodyboarding in the ocean will be a prerequisite warm-up for the afternoon fun at Surf Snowdonia. On Saturday afternoon you’ll also get an invaluable presentation and top tips on how to ride this mechanically perfect wave. Can I just come for the Saturday (surfing the Llyn Peninsula)? Yes, this is a possibility. Please contact us if you can only make the Saturday sessions. Can I bring a non-participating partner? Yes, of course, the more the merrier! 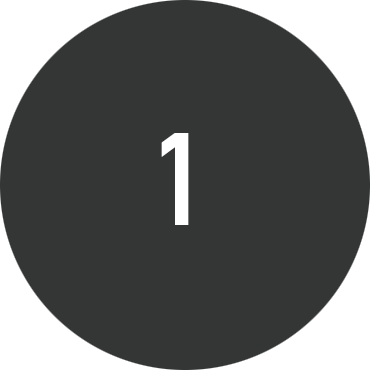 We are only limited to 12 spaces on the wave machine. All non-bodyboarding partners and friends are more than welcome to come and watch you shred. Plus they can stay in the glamping pod.